Well here I am. I've been looking over steemit now for a while and finally joined after getting back from a month long Asia tour. I like steemit so far. I like to travel a few times a year, but I'm not a travel blogger. I'm not a photographer, but I have about 40,000 pictures. I do like to share my adventures though. Forest Gump would describe me as like a box of chocolates, because you never know what you're going to get. I'm happy to be here and I hope to meet some great people and share some great stories. I will get my introductory post up soon. 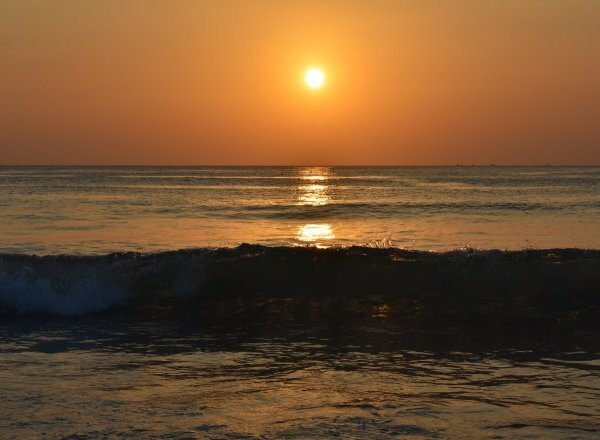 In the meantime I have some pretty cool pictures to share like this one from Karon beach Thailand. It was a good trip that included Philippines, Thailand and Laos. Some things were pretty cool, but some things I did I could have passed on. for instance. 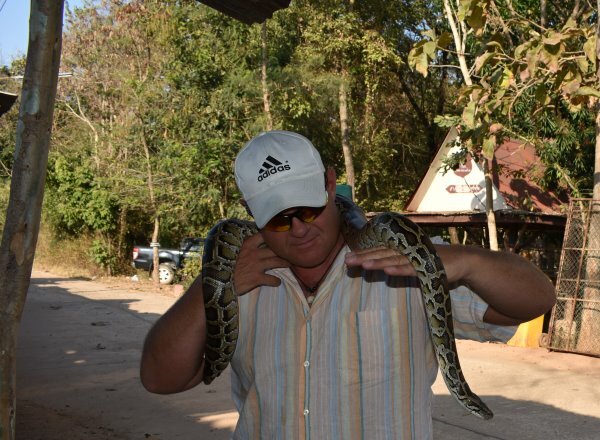 I'm not a fan of large snakes. OK. 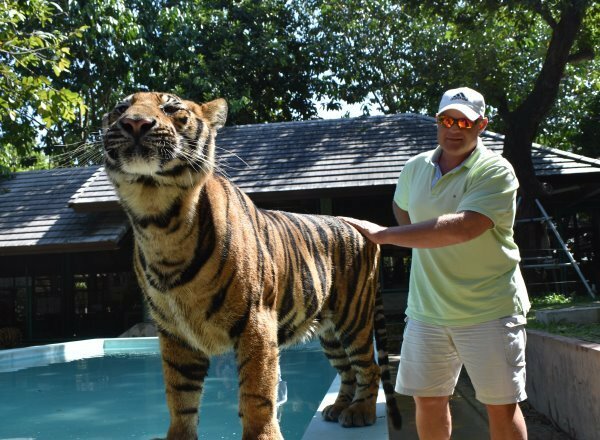 So the Tiger was really cool, but I didn't feel 100% safe. In the back of your mind you think about a 250 lb cat that just decides to turn on you because it doesn't like your hat. There was also some really amazing places. I spent a week in Phuket, Thailand. There's so much to see and do there. 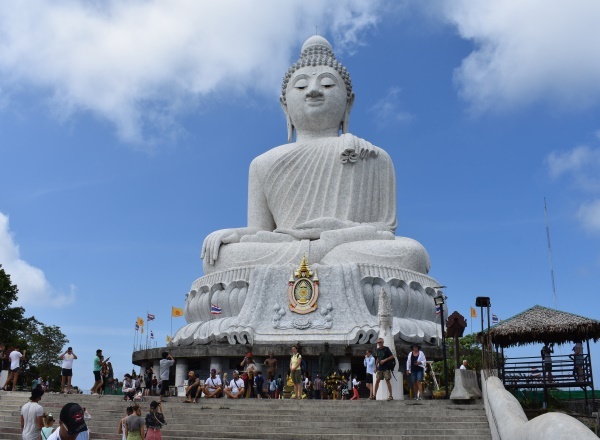 Beautiful beaches, good food and the Big Buddha. 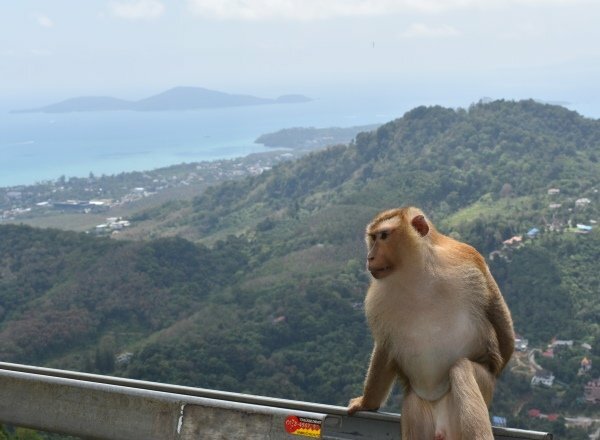 The Big Buddha sits high up on a mountain overlooking both sides of the island of Phuket, but sometimes the monkeys want the attention too. 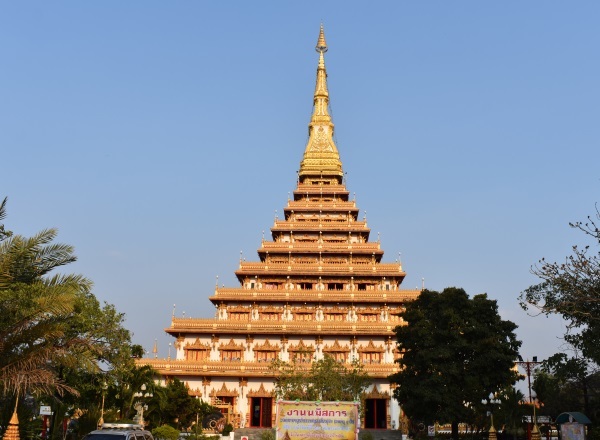 This temple in Khon Kaen is over 9 stories high and was built over 200 years ago. The Philippines is a beautiful place too with over 7000 islands to explore. I try to visit a few each time I'm there. 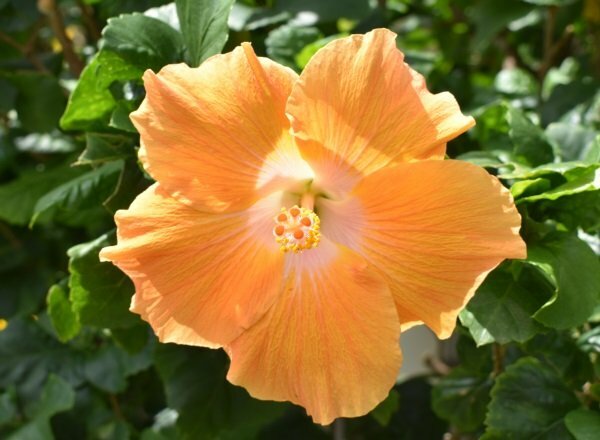 I am also a landscaper, so I will be posting a lot of flowers and gardening pictures like this amazing Hibiscus I saw in Cebu, Philippines. Congratulations @dreamyard! You received a personal award!